A very great deal will be written in the coming days about Josh Meyer’s Politico piece about former President Obama letting Hezbollah off the hook. It’s an article that deserves consideration and extensive analysis. Although there was much that we already knew before it was published, its central point – that the Obama administration actively blocked law enforcement efforts to take down Hezbollah networks – has not previously been made by insiders, with that focus and level of explicit clarity. Meyer has talked to the DEA agents who painstakingly spent years making the case to go after high-level Hezbollah criminal operatives, only to find their appeals for Justice Department action turned down. Eventually, over the eight years of the Obama administration, their own operations were starved off and shut down as well. Yet what they had on the Hezbollah networks around the world shows how dangerous the terror syndicate is. Again, we have known this all along. What we didn’t know was that, for a handful of reasons, including its desperation to conclude a “deal” with Iran, the Obama administration refused at key points to move against Hezbollah, when the evidence was indisputable, and the danger of doing nothing high. That was no doubt a major part of it, especially in Obama’s second term. But there’s a key event in his first term that has been almost entirely overlooked, and that illuminates the more systemic perspective on international security that seems to have driven all of the administration’s decisions on these matters. A basic posture was missing – one that, if it had existed, would have changed the course of everything that has happened since. How the Obama administration addressed Hezbollah was an important emblem of that posture’s absence. Before identifying it, let’s take a moment to summarize what Meyer put together on the administration’s motives for letting Hezbollah off the hook. Obama came into office promising to turn over a new leaf with Iran. He brought in top aides like John Brennan, who was determined to impose a template of “moderation” over “political Hezbollah,” and Lisa Monaco, a former Justice Department lawyer who advised caution and feared not only alienating Iran but courting retribution from Hezbollah. There was also institutional friction between agencies of the U.S. government. The “Project Cassandra” push against Hezbollah, with its origins in the last year of the Bush administration, was largely a project of the DEA, which had by then discovered the astonishing scope of Hezbollah’s syndicate crime. The criminal side of Hezbollah was moving drugs, arms, and cash around the world, creating new security hazards not only in the Middle East but in the Americas as well. The DEA’s desire to take the network operations down, however, ran afoul of infiltration operations by other agencies, which were focused on gaining prior knowledge of terror plots and averting them. The exposure and the breakup of Hezbollah’s structures that would come from DEA-oriented prosecutions could threaten what other agencies were doing. That’s a legitimate concern. But it’s not a show-stopper – unless an administration’s priorities let it be one. And it’s clear that the Obama administration’s priority was not to, shall we say, degrade and defeat Hezbollah; i.e., the goals Obama announced for going after ISIS in 2014. That made all the difference. Team Obama had no intention of weakening Hezbollah, and no vision for a Middle East without it. Some Obama officials warned that further crackdowns against Hezbollah would destabilize Lebanon. Others warned that such actions would alienate Iran at a critical early stage of the serious Iran deal talks. And some officials, including Monaco, said the administration was concerned about retaliatory terrorist or military actions by Hezbollah, task force members said. The White House was driven by a broader set of concerns than the fate of the nuclear talks, the former White House official said, including the fear of reprisals by Hezbollah against the United States and Israel, and the need to maintain peace and stability in the Middle East. Yet Hezbollah is precisely the problem for peace and stability in the Middle East. Hezbollah and its capabilities are the linchpins of Iranian proxy warfare across the region. Iran’s own Qods Force plays an indispensable role, to be sure; but it is an Iranian state entity, Persian, Farsi-speaking, and alien in the Arab nations. Hezbollah is Arab and indigenous in Lebanon and Syria, embedded in Arab identity in a way Iran’s state agents cannot be. Without disputing that much of the Obama administration’s approach on Hezbollah was motivated by concern for a “deal” with Iran, the more fundamental problem was that Team Obama couldn’t imagine a Middle East without Hezbollah. 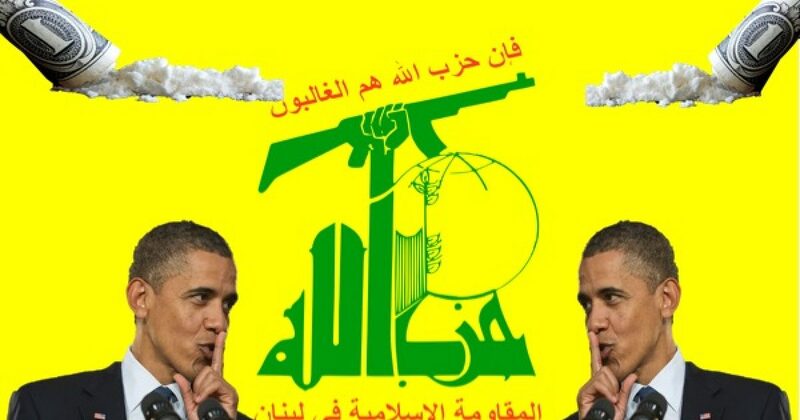 It wasn’t just Iran Obama saw a need to accommodate; it was Hezbollah too. The most telling event Meyer recounts is a seemingly minor one in early 2011. The task force that was pursuing Hezbollah connections, centered on DEA, had assembled a strong criminal as well as civil case against the Beirut-based Lebanese Canadian Bank, which laundered drug money for Hezbollah and provided financial services for Hezbollah and Iranian entities under U.S. banking sanctions. [T]he task force was working closely with federal prosecutors in a new Terrorism and International Narcotics Unit out of the Justice Department’s Southern District of New York. The Manhattan prosecutors agreed to file criminal charges against the bank and two senior officials that they hoped to turn into cooperating witnesses against Hezbollah and Safieddine, several participants said. Federal authorities filed a civil action against the bank in February 2011 and later seized $102 million, ultimately forcing it to shut down and sell its assets without admitting wrongdoing. But the Justice Department never filed the criminal charges, and also stymied investigations into other financial institutions and individuals that task force agents targeted as part of the planned RICO case, they say. The Obama White House said privately that it feared a broader assault on Lebanese financial institutions would destabilize the country. But without the threat of prison time, complicit bank officials clammed up. And without pressure on the many other financial institutions in Lebanon and the region, Hezbollah simply moved its banking business elsewhere. Many will not remember what was going on at the time these decisions were made. But it was probably the most important development of 2011: the one that, if the United States had handled it differently, might have reset the course of what became the Arab Spring. In January 2011, literally while he was sitting with President Obama on a visit in Washington, D.C., Lebanese Prime Minister Saad Hariri had his government jerked out from under him by Hezbollah, which withdrew from it abruptly in what was widely called a coup. The proximate reason for this strong-arm move was Hezbollah’s likely indictment, expected within weeks from a special tribunal in The Hague, for assassinating Hariri’s father, Rafik Hariri. But that wasn’t nearly as important as the fact that it was a strong-arm move, and the outcome would inevitably show who had the upper hand in Lebanon: the supporters of Hariri’s governing coalition – like the U.S., Saudi Arabia, Egypt, and Turkey – or Hezbollah, and through Hezbollah, Iran. If Hezbollah could make this move stick, the answer would be clear. And that clarity would lift the governor off the interplay of power mechanisms in the Middle East. Obama’s own DEA had handed him, weeks before, the means to deal Hezbollah a major blow. The one bank was less important than the criminal connections that could be leveraged for information and a broader-scale attack on the entire Hezbollah syndicate. The task force in the U.S. had been compiling its case for nearly three years at that point, according to Meyer’s narrative. Multiple agencies were well aware of the gold-mine of information against Hezbollah. The policy could have made a different U.S. government ready to use the case for a major, multi-pronged move against one of the most destabilizing elements in the region. The timeframe – January-February 2011 – was exactly the make-or-break period when Hezbollah would either be confronted and dealt disabling blows or be allowed to leverage its position in Lebanon to hold the entire surrounding region hostage. The latter is the choice the Obama administration made: to accept a fait accompli by Hezbollah. Saudi Arabia and Turkey both attempted to broker a deal of some kind to restore Hariri and put Hezbollah back within meaningful limits in Lebanon. But without help from the United States, their efforts fell short. There was no American pushback, and by the end of January, Hezbollah had won the opening round of the Arab Spring. In the popular narrative, the Arab Spring started in Tunisia, with an act of self-immolation by a disaffected citizen in December 2010. But the timeline is critical: the Tunisian crisis remained incoherent for a month, until the Hezbollah coup in Lebanon on 12 January 2011. After the spectacular nature of the Hezbollah move, pulled while Hariri was visiting Obama in the Oval Office – and then unopposed by Washington – the creaking authoritarian regime of Zine El Abidine Ben Ali in Tunisia fell two days later, on 14 January. On 25 January, after attempts at intervention by the Saudis and Turks had failed, Lebanon was forced by Hezbollah to accept a “consensus” candidate hand-picked by Hezbollah as its next prime minister. That was also the day the revolution was launched in Egypt, which would result in the resignation of Hosni Mubarak 18 days later. In Lebanon, Hezbollah has held an iron veto over the nation’s internal affairs ever since. Unquestionably, the ingredients for instability and popular discontent existed in the Muslim Middle East, apart from the power dynamics of Hezbollah and Iran. The point here is not that there would have been no manifestations like those of 2011 without the Hezbollah coup in Lebanon. The point is that the course of the Arab Spring was not predestined to unfold as it did. Josh Meyer’s article shows the U.S. was armed with important ways to move against Hezbollah at the very time of the January 2011 coup, like a boxer going all in for a K.O. That’s not just a concern about relations with Iran. That’s a fundamental attitude that Hezbollah, or some similar “revolutionary” actor, is in the driver’s seat: that things happen to us, and the main thing is to have our excuses in order afterward. It’s clear from Meyer’s information about January-February 2011 that the Obama administration didn’t see the overall Hezbollah problem the way most Americans probably thought it did. Other timeline comparisons from the Meyer narrative are illuminating as well, such as where we were in it while civil war was engulfing Syria in 2011, or in August and September 2013, during the “chemical weapons and red lines in Syria” episode, or throughout 2014 when Iran was waging a military campaign in eastern Iraq, using troops long trained and facilitated under the Hezbollah brand. Of particular interest to Americans is Hezbollah’s ongoing involvement in the drug trade in the Americas, which has produced such devastating consequences in U.S. society. William Jacobson pointed that out in a post on Sunday. But there’s another consequence of the Hezbollah narcotics presence, and its center-of-gravity shift in recent years to Venezuela, from the “Tri-Border” area of Argentina, Paraguay and Brazil, well to the south. The Hezbollah profile Josh Meyer outlines in Venezuela, partnering with and bolstering the Los Zetas cartel, has been behind much of the Mexico-based Zetas’ growth in vulnerable territory north of the Darien Gap – in Guatemala, Honduras, and El Salvador – where another form of social devastation drove the migrant surge into the United States in the Obama years. Accommodating Hezbollah didn’t just let a lot of frightening, newly-potent drugs into the U.S. It transformed social patterns in Central America – very much for the worse – and drove a migration crisis that still hasn’t subsided. It is important to acknowledge that the single-minded, and misguided, the pursuit of a bad “deal” with Iran has been behind a lot of flawed policy and evil consequences. But in terms of highlighting the consequences, the “Iran” theme, while valid in its own right, is a thinking aid; a mental trigger for what should really come to our minds. The “Iran deal” isn’t a weak positive in the ledger – a benefit gained for a cost. That’s a deceptive proposition. The “Iran deal” is itself one of the worst consequences, because it constrains us, without meaningfully constraining Iran. We’re not talking tradeoffs here. The motive to pursue the “Iran deal” arose from the same attitude and perspective that drove accommodating Hezbollah. I have my own ideas what the attitude and perspective were (they have to do with the ideological “Generation of 1968’s” view of revolution, and what it reflexively aligns itself with). But you’ll have to decide what yours are.